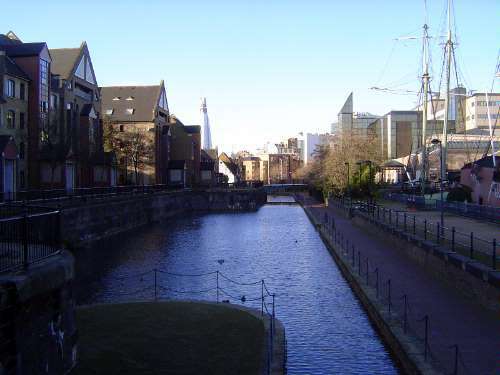 A block to the north of the church, a canal survives near the mostly filled London Dock, whch was connected to St. Katharine's. The drydocked ships at the right are metal replicas, built to attract children and their parents to a shopping center built in the adjoining tobacco warehouse. The center failed, and the ships were inaccessible as of 2011.